Corporate responsibility: Be Bold. Act now. Improve the world. Be part of the environmental movement through corporate responsibility. Due to increased environmental awareness and its positive bottom-line results, corporate responsibility (also known as corporate social responsibility, or CSR) has gained traction over the past decade in companies around the world. Are you familiar with it? If not, it’s time you learn about it. 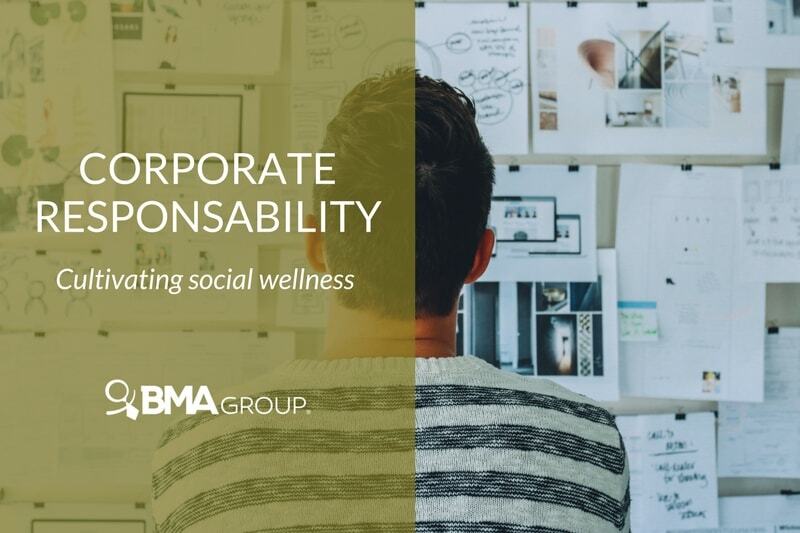 Corporate responsibility is a company’s commitment to implementing ethical practices that improve its employees’ quality of life and contributes to environmental sustainability. It goes above and beyond regulatory compliance and is more than a public relations’ business tactic. It’s a way of growth for companies, regardless of their size. Corporate responsibility initiatives should not be considered expenses. Many socially responsible initiatives cost very little and can, in fact, help companies reduce expenses and increase revenue. One way to limit expenses through CSR, is to involve employees in environmental awareness policies at work. For instance, reducing water consumption and waste in the office. Integrate a water reduction plan that makes employees more conscious about their use of water in the office. As result, employees will reduce their water consumption, thus lowering your company’s water bill. Win-win. Another advantage of corporate responsibility programs is more good talk about your business, and a better image. Most people feel empathy about a socially responsible company. Generally, they are also more open to doing business with you. Being socially responsible may help attract more leads, better business partners, and more engaged clients. In other words, it gives you a lead over competitors. Furthermore, corporate responsibility can generate free publicity for your company. Think about it: since others will be interested in learning about your CSR tactics, you could spend less in paid advertising! A positive worth-of-mouth about the sustainability of your firm is highly beneficial for future businesses. A company that’s determined to improve society’s wellness is a company that customers highly recommend. Clients will support a brand that makes efforts towards a better society. You may be surprised, but even the smallest details, like purchasing sustainable office supplies, can make a difference. Socially responsible practices are not limited to the workplace. They go beyond if you reach out to your neighbors. Corporate environmental practices can also have a great impact in the community. For example, placing recycling dumpsters in the parking area may motivate customers and observers as well, to join the ecological movement. When you integrate the community in your corporate social responsibility programs, you’re fostering a beneficial and prosperous relationship with them. It’s a fact that corporate responsibility is a great way of attracting and retaining culture-fit talents. Employees are becoming more socially involved with ecological practices. They want to work in a healthy environment that encourages society’s wellness. By portraying a positive, socially responsible image, you will attract value-aligned talents. If your company hasn’t welcomed corporate responsibility yet, get on board with the following practices as stated in LinkedIn by Michael Spencer. They are simple, but will have a significant impact in your work environment. Communication is the key to business success. When implementing corporate responsibility programs, it’s vital to keep employees updated with the latest corporate responsibility policies and regulations in the workplace. Also, share with them when you reach a goal and the results of the collective efforts. By being transparent with your employees, they will engage in ecological practices at work. In turn, this will boost the potential of your CSR program. Employees are crucial in the development of a CSR program. If they don’t enforce it, the program will not succeed. Corporate responsibility promotes a healthy and sustainable work environment. When employees are pleased in the workplace, their productivity increases. Therefore, it will result in more revenue for your company. Although it may not seem like it, customers and outsiders notice your choice of materials. If you want to be sustainable, choose natural and recycled materials over plastic, for instance. Keep in mind, every purchasing decisions may affect the overall projection of your company image. Tip: Invest in office supplies such as recycled paper and ink toner. Environmental policies are the easiest way to get started on corporate responsibility programs. Adopting socially responsible initiatives may cost little to nothing and add up to big results. Some of them are water and energy conservation, recycling programs, and sustainable purchasing, as mentioned above. Create a healthy environment for your workers, and observe your company flourish into something amazing. Be a leader in your industry and others will soon follow. Not only will your revenue increase, but your company will spark a chain reaction that helps strengthen the country’s economic development. The time to integrate corporate responsibility programs is now! Don’t be a business rookie and stand out from competitors through corporate responsibility. DISCOVER HOW TO KEEP YOUR STAFF INVOLVED, ENTHUSIASTIC, AND COMMITTED AT WORK WITH THIS AWESOME SLIDESHOW, “HOW TO ENGAGE EMPLOYEES AND KEEP THEM HAPPY”!